I am the youngest one of the first five employees in the Shanghai IT office. Surrounded by many talents and senior people in the Tokyo office, there is still a long way to go! 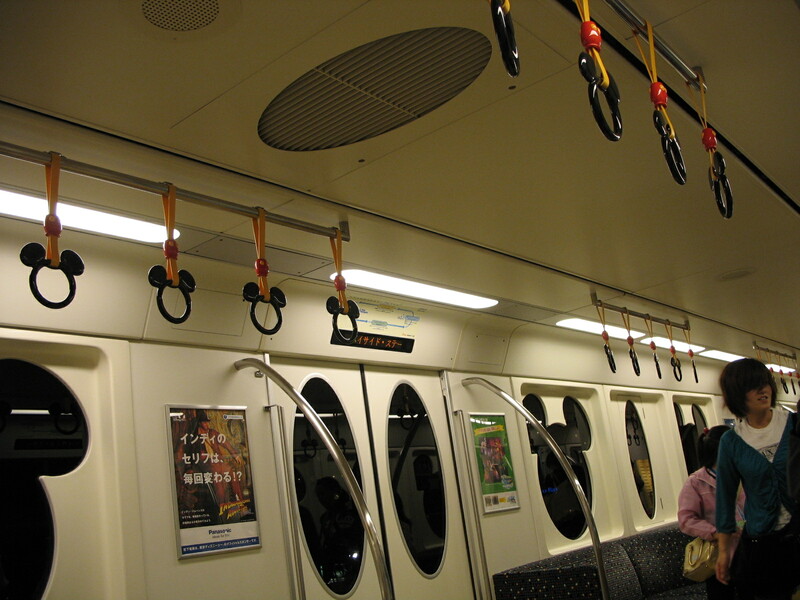 Lovely decoration in the train in Tokyo Disneyland. There are so many Kawai (cute) decorations in this country where the fetish of cuteness is part of the culture . Of course the train in Tokyo Disneyland is not a exception. The other day, I had to go to see a dentist in Japan. As you can image that it would be difficult for a foreigner who does not speak Japanese at all to go to see a dentist in Japan. People here rarely speak English, which is totally different from I imaged before I came here. Fortunately, I found a Chinese speaking dentist via James, and the dentist is also very nice person. She was so nice that gave me a quick surgery on my broken tooth and setup a temporary one for me. She told me that it will be expensive if I do orthodontics in Tokyo. She told me that my tooth got phlogiston and it took more than 1 month to do it. So I’d better to take the surgery in China then setup a ceramic tooth. To my great surprise is that she refused to receive any fees including my temporary teeth. I really appreciated her professional services and kindness! This is the first time I ever felt that not everyone does their job just for money.